Stan Matwijiw grew up in Windsor, Ontario and played his entire minor hockey there before moving on to play for the Strathroy Blades in the Western Junior B League. Matwijiw then moved on to play in the Western Hockey League of the Canadian Hockey League for the Prince Albert Raiders and the Lethbridge Hurricanes. In 1992/1993 while with the Raiders, he was named Molson Player of the Year. Matwijiw then went on to become a free agent to the Toronto Maple Leafs in 1993/1994 and continued on to play four years of minor pro hockey until his retirement in 1998. Now retired, Matwijiw has continued on in the hockey world, only now as a mentor and coach and building Bandits Goalie School into one of the premier goalie schools in the North America. With a depth of knowledge that only comes from years of experience, Matwijiw has developed a proven system to help goaltenders of all ages learn to become the best goalies they can possibly be. Far too often, goaltenders have mechanical skills but do not have the knowledge of how to apply these skills in a game situation. Matwijiw ‘s system has been applied to all levels of the game; Squirt to Division I and II College, Major Junior all the way to the NHL. 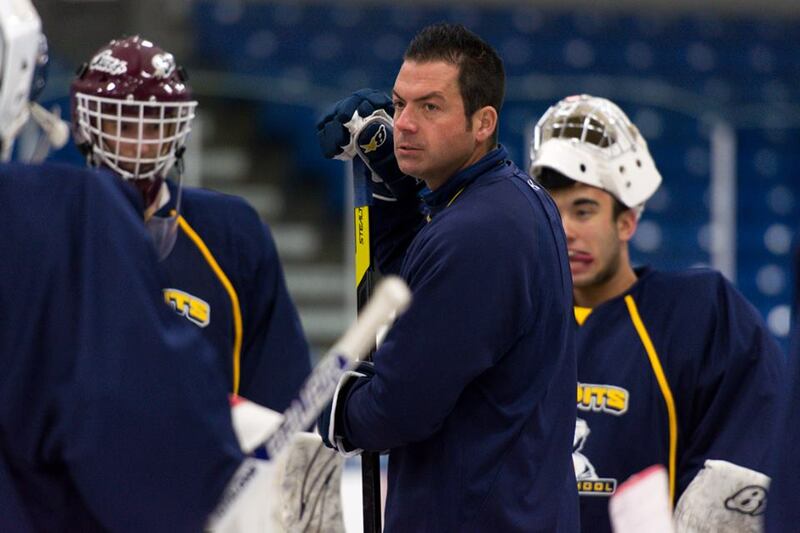 Matwijiw has served as the goaltending coach for the Flint Firebirds and Plymouth Whalers in the Ontario Hockey League and also the goaltending coach for the University of Michigan Wolverines (NCAA D1) from 1999 – 2006.